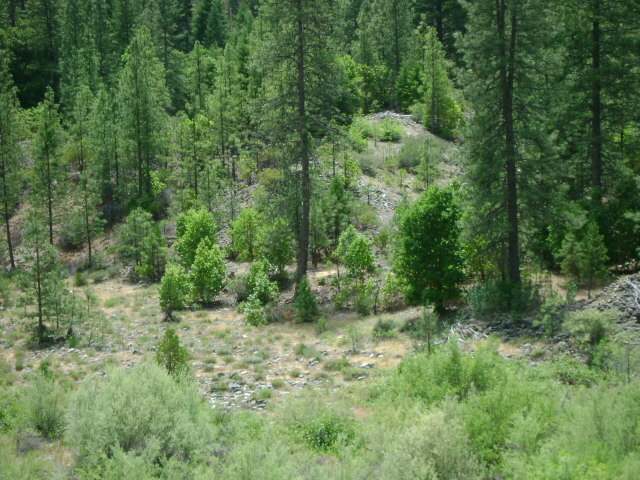 S-2 LOWER SCOTT RIVER CLAIM – The bottom of this claim (downriver end) is approximately 0.3 miles from the junction of Highway 96 and Scott River Road. 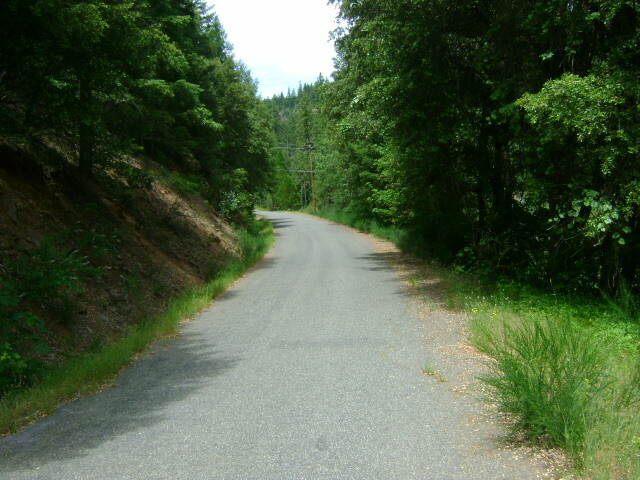 Both claim boundaries are clearly marked with signs alongside the roads on both sides of the river. 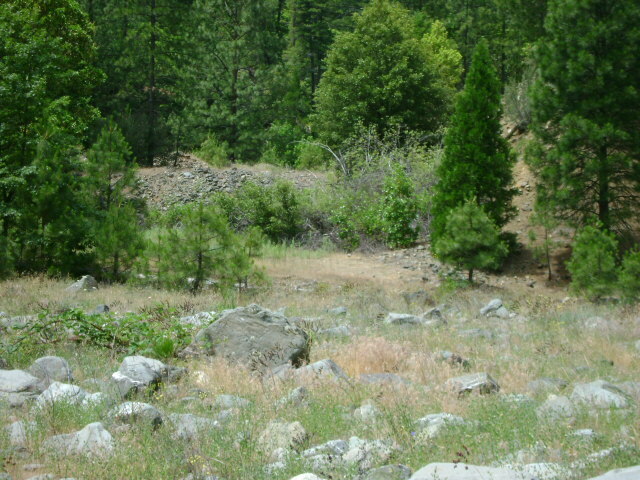 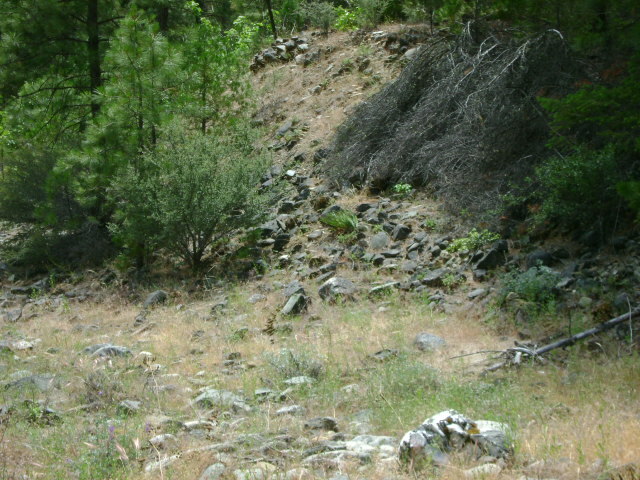 The upper boundary sign is posted on a stake near a big rock pile along-side of the road. 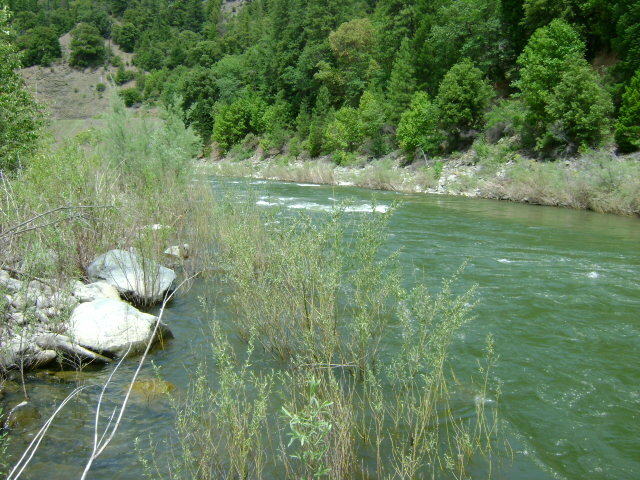 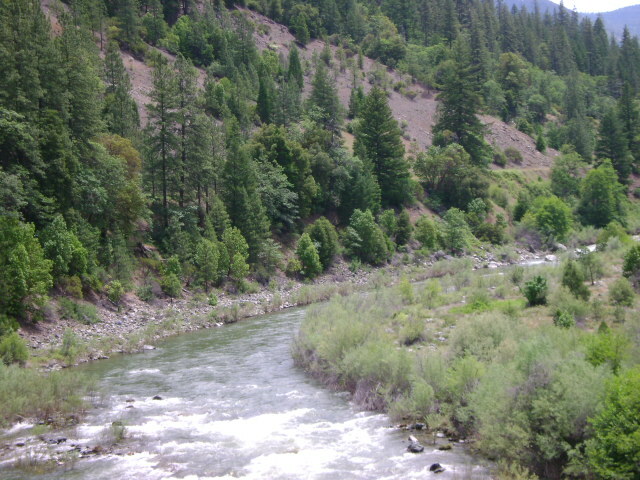 The lower boundary crosses the river on a steep angle, with the lower part being on the side of the existing Scott River Road. 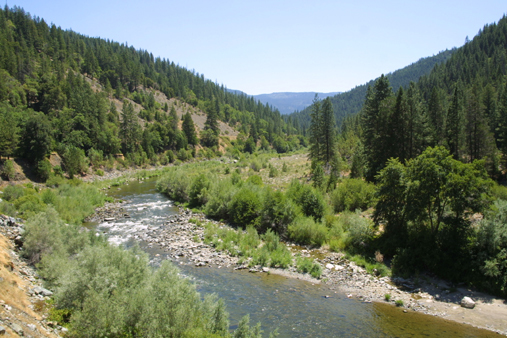 Long-term camping is not available on this claim, but can be done on the S-1 claim several miles upriver. 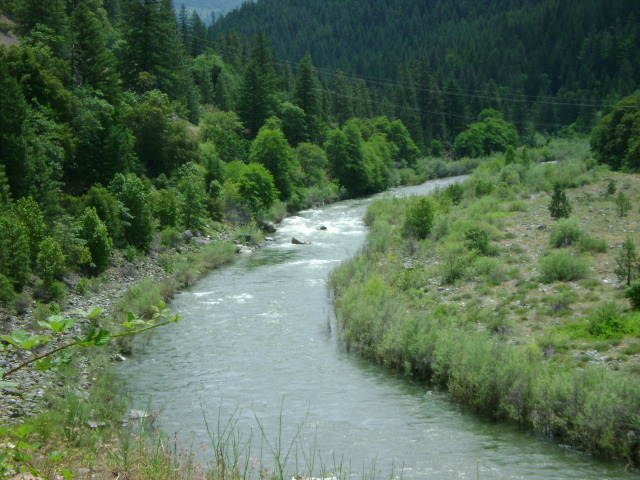 The far side of the river can be reached by driving about a mile upriver, crossing the bridge, and then making an immediate right turn to follow the access road downstream to our claim. 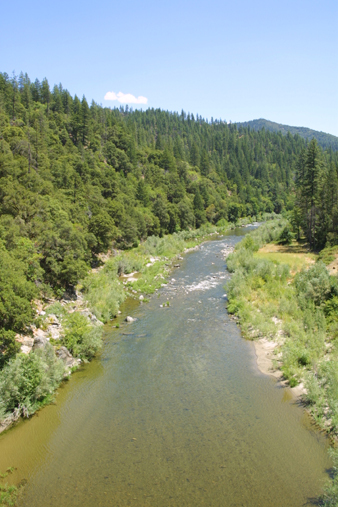 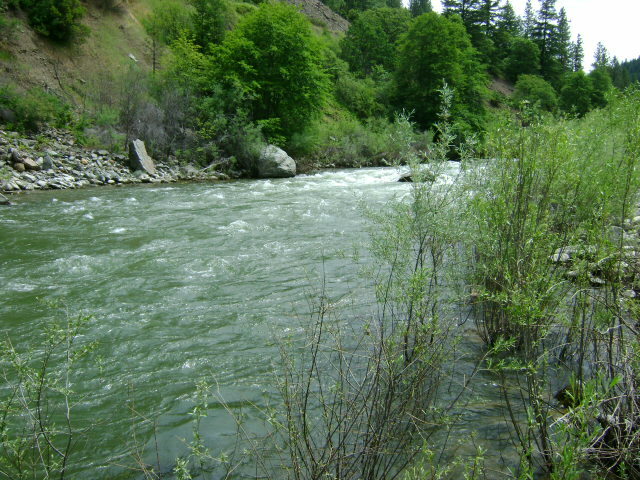 PROSPECTS: This is a very proven section of the Scott River. 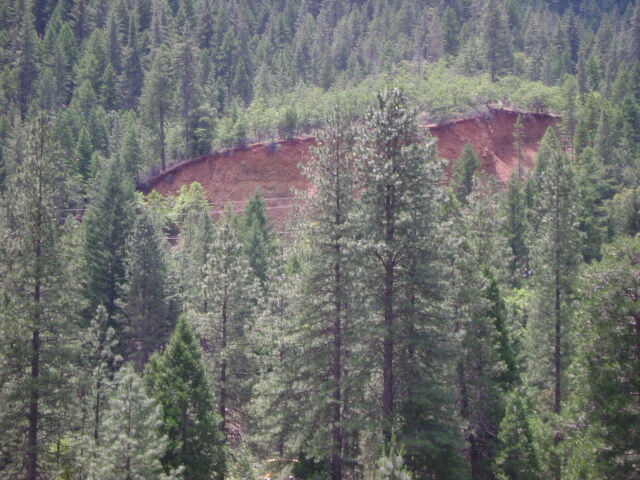 Both dredging and prospecting out of the water should be good on the claim. 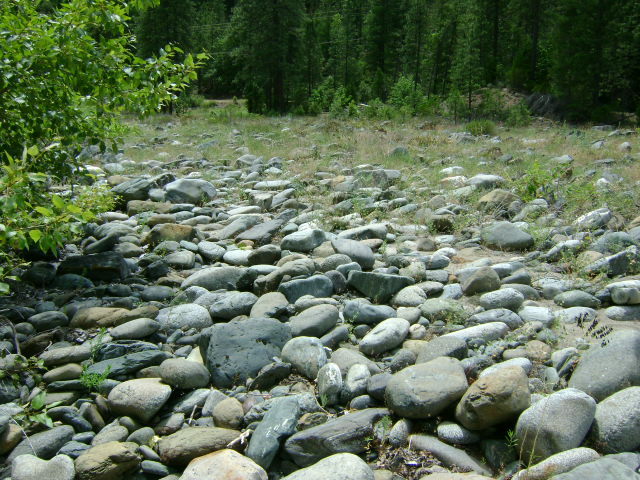 Look for hard-packed gravel, which will indicate sections of the streambed which have not been previously mined.